Van Cliff - is represented by a wide range of design studios in Europe and Russia, large modern manufacturing factories, retail stores and highly qualified staff. 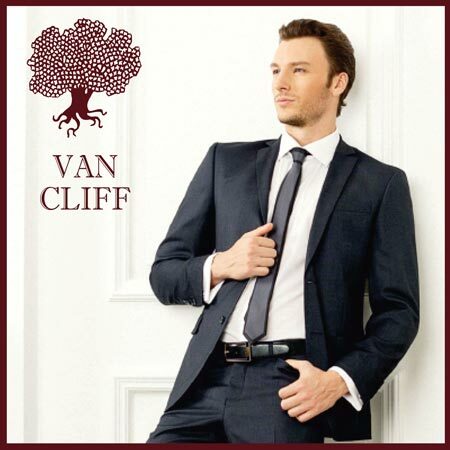 Millions of men have become great fans of Van Cliff collection, appreciating its modern style, high quality, wide range of types and models and their flawless fitting. Exclusive collections of Van Cliff are created from the best fabrics and textile companies, reflecting the latest trends in the fashion world at reasonable prices. If you want to emphasize Your individuality and unique style, feel confident and take pleasure from wearing beautiful and comfortable clothes – than Van Cliff is Your best choice!